What you can see bird watching in Hawaii. Bird watching in Hawaii is a wonderful way to spend your vacation in the Aloha State. Each Hawaiian Island has its own collection of avian residents. They present amazing opportunities for bird-lovers to observe a relatively small number of unique species. There are 285 species of birds in Hawaii found nowhere else in the world. While Hawaii only has .25% of the land mass in the US, it has over 25% of the endangered species in the country, many of them birds. Causes for their extinctions include loss of habitation, over-hunting, non-native diseases and predation. In fact, many scientists have called Hawaii the extinction capital of the world. Some of these highly threatened species include the pueo, a subspecies of the short-eared owl and the alala, the Hawaiian crow, which survives only in captivity. Bird watching in Hawaii offers a unique opportunity for visitors to see some of the State’s most rare and endangered wildlife. Here is an island by island breakdown of bird watching opportunities in Hawaii. Nene geese at Hawaii Volcanoes National Park. The Big Island or Hawaii Island is home to the world renowned Hawaii Volcanoes National Park. It offers some of the most easily accessible bird watching opportunities to find and observe forest birds, many of them rare and endangered. The island is the exclusive habitat to the rare ‘io or Hawaiian hawk and the Hawaii akepa honeycreeper. According to the Hawaii Audubon Society, the best place for birding on the island is the Hakalau National Wildlife Refuge. Portions of the Refuge are open to the public; but permission is required for entry. You can contact the management office for further information at (808) 933-6915. Kilauea National Wildlife Refuge on Kauai. Kauai offers a great variety of birding opportunities including sea and forest birds. Here, you can find the anianiau, a honeycreeper found nowhere else in Hawaii as well as in the world. One of the best place to observe forest birds on Kauai is Koke’e State Park. But if you would prefer a more isolated terrain, then the Alaka’i Wilderness Preserve can provide many of the same birding opportunities as Koke’e State Park. Sea birds are an integral part of Kauai’s wildlife. Here, bird watchers can find species such as white-tailed tropicbirds, great frigatebirds and wedge-tailed shearwaters along the scenic coasts of the Kilauea National Wildlife Refuge. Maui offers some of the best opportunities for bird watching in Hawaii, especially for rare birds. 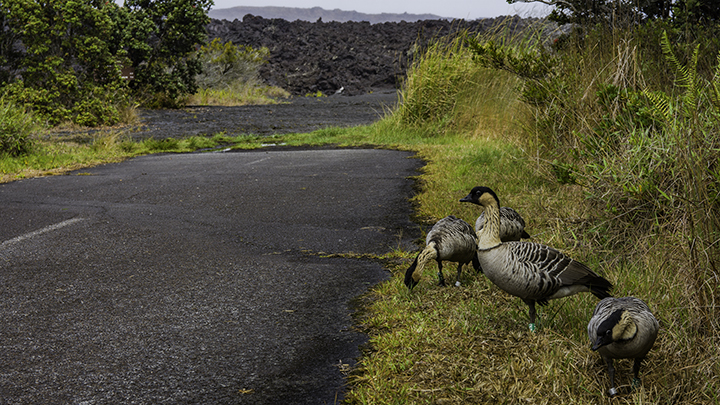 On the slopes of Haleakala, you can find the nene goose, the state bird of Hawaii. The nene is an endangered species found nowhere else in the world. Those serious about bird watching can take the guided hikes offered by the National Park Service into the Waikamoi Preserve. Here, you can find some of the rarer species of birds, such as the akohekohe or crested honeycreeper and the kiwikiu or Maui parrotbill. To find water birds on Maui, your best bet is to visit the Kanaha Pond State Wildlife Refuge or the Kealia National Wildlife Refuge. One of the best places to view birds on Molokai is the Kamakou Preserve where you can find honeycreepers like the amakihi, i’iwi and the apapane. You will need to make prior arrangements to visit the preserve by calling (808) 553-5236. Compared to the other islands, Oahu has relatively few remaining endemic forest birds. So the best opportunity here is to seek out sea birds. 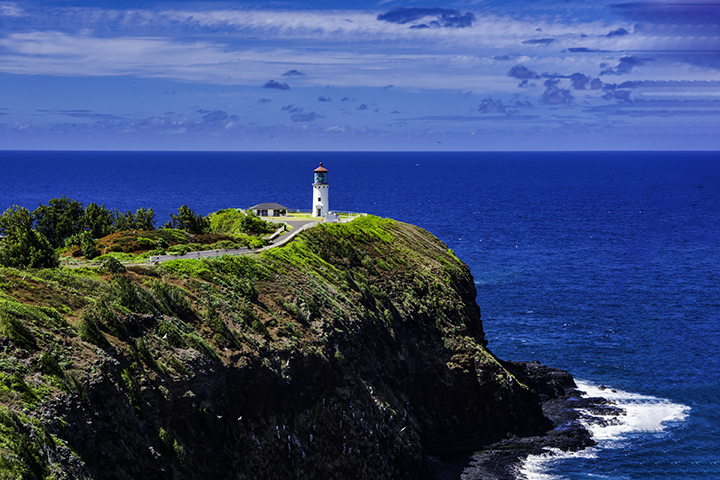 One of the best locations to look for sea birds, such as albatross, boobies, and petrels, is at the picturesque Makapu’u Point Lighthouse. The lighthouse has a paved hiking trail leading to it, making access quite easy. 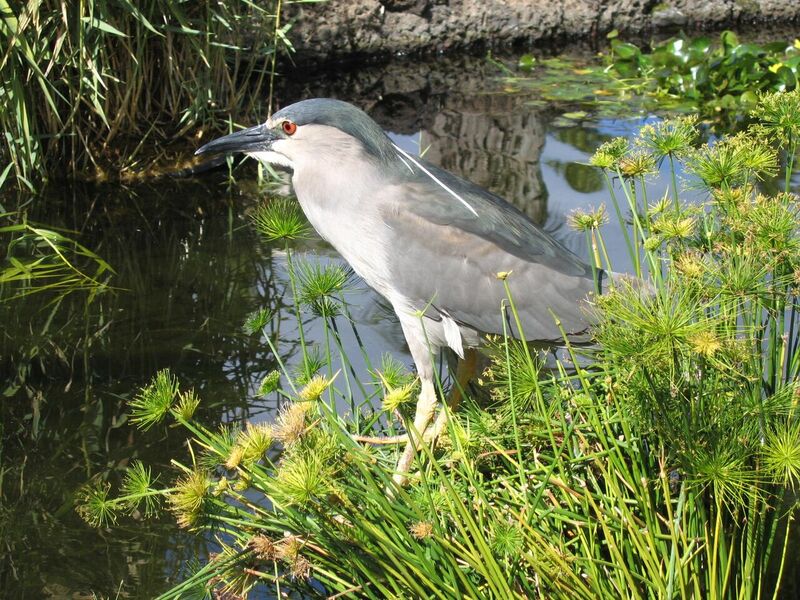 If you are looking for endemic water birds, a good place is the Enchanted Lake Bird Sanctuary in Kailua. Another place to see sea birds in action is at the James Campbell National Wildlife Refuge in Kahuku. Here along the marshlands, you might be able to see the endangered long-legged ae’o or Hawaiian stilt, a subspecies of the black-necked stilt. If you plan to go there, be sure to make tour reservations by calling (808) 637-6330.